Tourists choose the Quattro Canti architectural complex as a starting point of exploration of landmarks and sights of Palermo city. Its name can be literally translated as Four Corners. The complex encompasses four buildings which are located by the sides of a crossroad. The construction of the buildings was held in the 17th century. The buildings are executed in baroque style and feature unique frontage decoration. The bottom of the complex features fountains of ultimate beauty meanwhile the upper part of the complex is decorated with statues embodying Sicilian Kings and patron saints. The city has preserved numerous monuments and landmarks of Norman architecture. The most remarkable and tourist attracting among them is the Capella Palatina. The construction of chapel was started in 1130 and lasted for 10 years. The decoration and design of the interior lasted till 1460. During a tour travelers will be offered to look into the chapel and enjoy the majesty of ancient mosaics, marble articles and other antique artifacts. 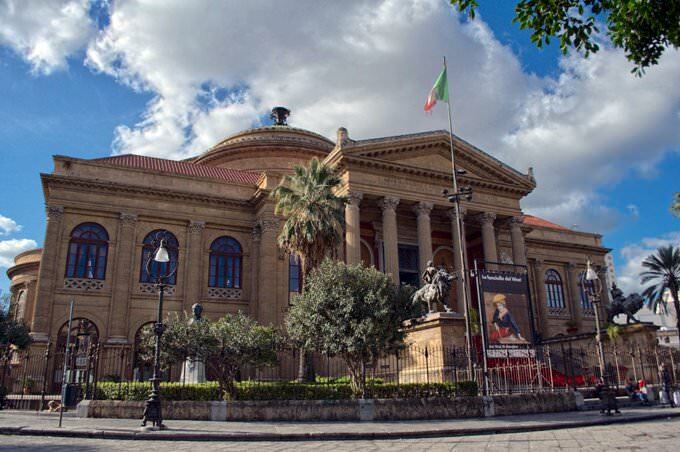 In the middle of the 19th century the palace was surrounded with a large park which is nowadays among the most attractive and remarkable natural sights of the city of Palermo. The square of the park is about 60ha. Its visitors get a unique chance to observe and enjoy plenty of aged trees and antique statues. The same interesting and attractive for tourists is the Palazzo dei Normanni. According to historical records the first fortress on the place of the modern palace was built as far back as in 9th century. The fortress existed there till the 11th century and then was reequipped into a majestic palace. For centuries the fortress served as the main residence of local kings. Today significant political events are held in the palace as well. The most beautiful square of the city is considered to be the Piazza Pretoria which was established in the 15th century. 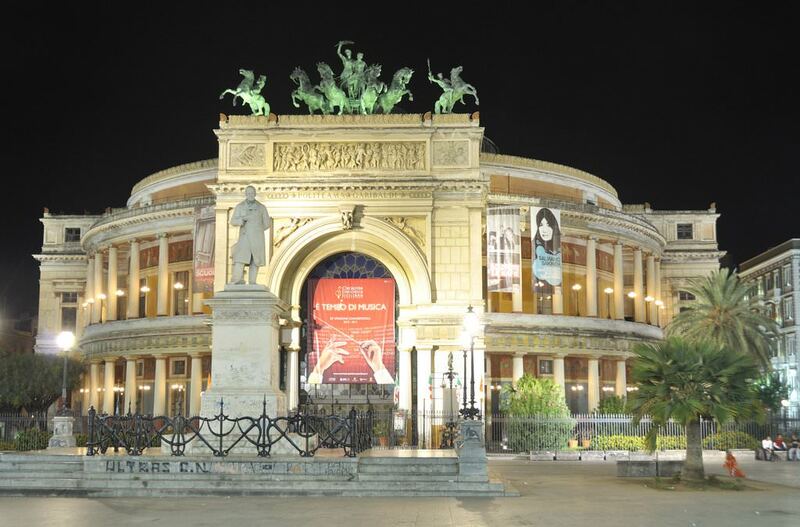 In the heart of the square tourists will find one of the main symbols of Palermo city being a majestic fountain. The opening of the fountain was held in 1574. In the close neighborhood to the square tourists will find several remarkable samples of architecture. That is why a tour to the square will be full of impressions. In the section below, you can get one of our excursion, activities or city discovery tours over Palermo and surroundings. Our website offers 10-30% lower ticket prices, when compared to the offline purchase on the spot. This guide to cultural sights Palermo is protected by the copyright law. You can re-publish this content with mandatory attribution: direct and active hyperlink to www.orangesmile.com. Culture guide to Palermo. 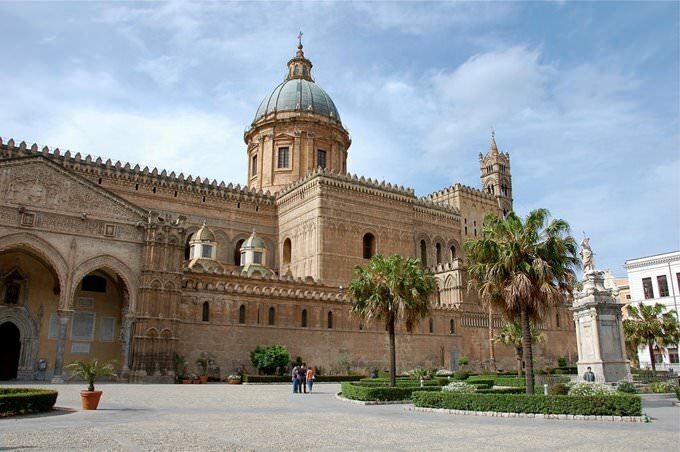 Which fascinating sights to visit once you are in Palermo: temples, churches, museums, theaters and castles. Recommendations (with addresses, phone numbers and links) on the places 'must visit' in Palermo. Plan your own city excursion by using this page info!